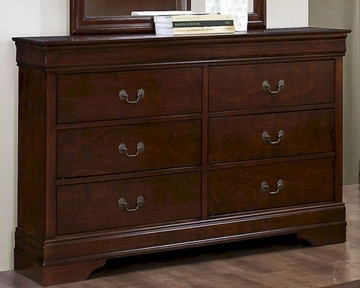 For a truly classic look, grab this Dresser from the Mayville collection by Homelegance. 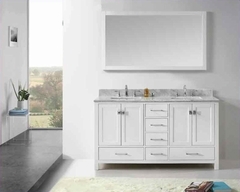 A perfect fusion of functionality and vintage style, the symmetric dresser is equipped with six wide drawers for placing books, cosmetics and other essentials. The distinct framing of the chest further accentuates the look. Give an antique look to your home with the dovetailed drawers adorned with antique metal bale hardware. 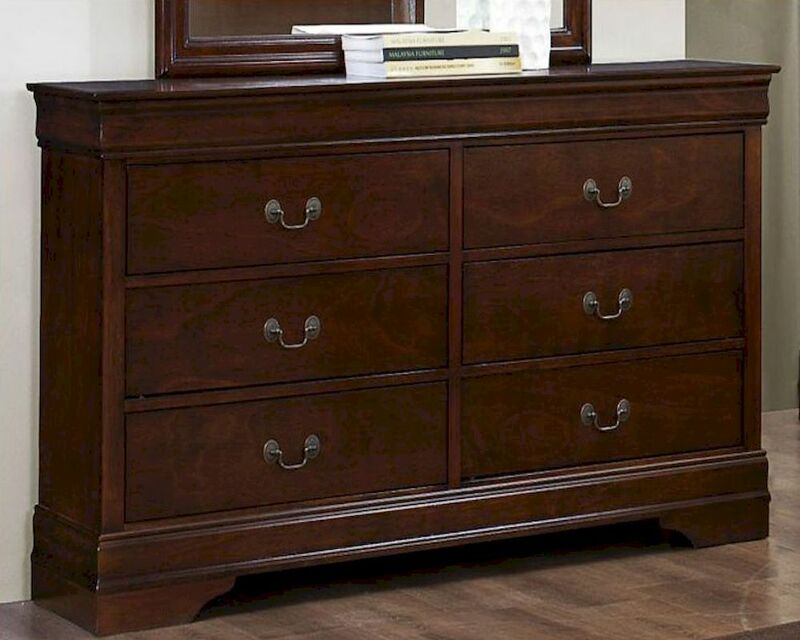 Complete with burnished brown cherry finish, this classic dresser is sure to attract a lot of admirers.